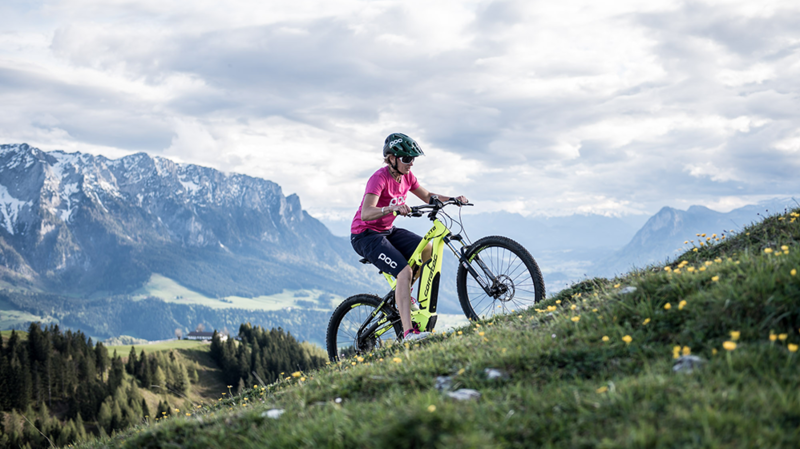 Due to the powerful Bosch engine, the E-Power X-Vert 29 become a real rocket on the trails. The huge 29 inch wheels provide comfort and security. The battery disappears inside the down tube but can be removed for charging easily. Huge comfort with the Santour XCR fork. Strong performance with the Bosch Electric engine. The all new Shadow Edge Tube hides the Bosch Battery Pack completely inside the down tube and provides therefore a nice shape and look of the frame, nevertheless the battery can be removed out of the down tube. This intelligent and innovative lid-mechanism is developed by corratec and patent pending. The lid of the battery housing is made of High-Grade-Polyamid with Glass Fiber Reinforcement and therefore its super strong and robust. The integration of the battery prevents the whole electronics in case of dirt and other external influences. The edge of the Shadow Tube is shaped very nicely and provides a sportive look. The special design of the edge improves the stiffness of the frame and causes more stability and security of the E-Bike frame. Constant improvement and desire for better design lead to an engine bracket forged out of high grade aluminium. First-class forward drive and a clean chain stay, completely free from chain-rattling. Even a road bike with a triple chain set is safe from chain damage to the frame. Included in nearly all corratec bikes. A pedelec (Pedal Electric Cycle) is a special version of an electric bicycle, in which the rider is assisted by an electric drive when pedalling. Large wheels roll better. 29 inches require about eight percent less energy than the 26-inch version. The 29“ wheel takes longer to get going, but rolls easily and quickly over rocks and roots, which brings an additional advantage – more comfort. Larger wheels roll over obstacles more easily. The ability of a wheel to roll over obstacles is proportional to its size. A 29" wheel, which is about 10% larger than a 26" wheel, can roll over 10% larger obstacles. The larger diameter wheels have more angular momentum so they lose less speed to obstacles and rough sections. 29" bikes tend to offer taller riders a more "natural" frame geometry. Internal Cable Routing inside the frame for protection and a stylish design. The head tube is specially reinforced to accommodate force more efficiently. The S-Class of the Trekking Bikes. The Alfine 11 speed provides easy and comfortable travelling. With the C 29er every trip will be a pleasure. The 29 inch wheels absorb almost every irregularity making this bike the perfect companion. The 8Speed range provides reliability in every situation in your every-day life. The stable and safe frame and the upright riding position provide good comfort and are perfect for every situation in your daily life and in every weather condition. Whether New York, Rio or Rosenheim. The SH1 is the urban lifestyle bike with prestige design. The Alfine shifting hub ensures every ride a pleasure. Whether the city or the country side, the SH Urban is the sporty urban lifestyle bike. The with implemented derailleur system, this bike is perfect even for the hilly environment. A bike like its name. The Harmony is a flawless bike that harmonises with your lifestyle; for shopping, to work or the swimming pool. It’s also on entry level with derailleur sytem for economical riders. The corratec LifeS AP5 with the 500Wh battery and the highly economical Bosch Active Plus engine fits not only for the city, but also for small e-trkking tours is the bike the perfect choice. 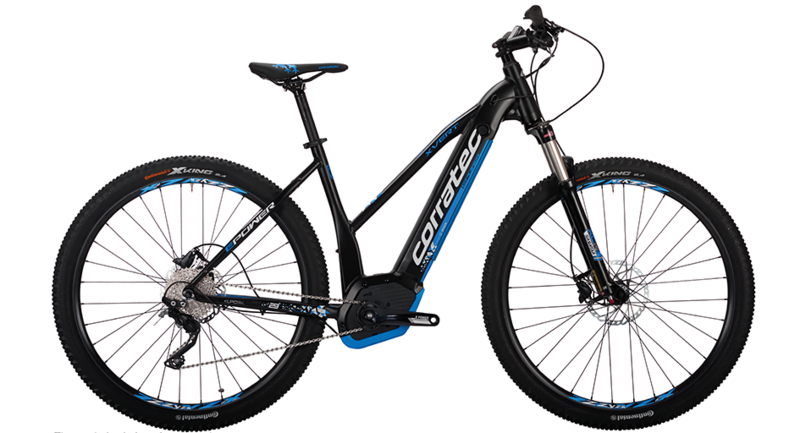 With high quality Ergotec components and the wide Innova tires, the bike offers a pleasant, comfortable and safe riding behaviour at all times. The SUV is equipped with the Fusion Tube Edge Technology and additional with reinforced spokes and rims this results in a system weight of 180kg. The strong Bosch Performance Engine supports the rider powerful and reliable. In 2019 the SR Suntour Mobie fork provides an optimal light and fender integration. Comfort and security are the main points of the E-Power C29 Trekking. The new developed Shadow Tube Design provides stiffness and stability and the battery pack disappears in the down tube. The Bosch Performance 45 Engine is STVZO approved and supports the rider up to 45 km/h. Security and comfort a very important. The E-Power 28 models can convince in both points. The Fusion Tube provides a maximum of stiffness and security. The geometry of the bike is upright and comfortable. The new Bosch Active Plus Engine supports powerful with 50Nm. The E-Power 26 is the perfect Bike to challenge the everyday life. The quiet Bosch Active Plus engine with a 500Wh battery work perfect together for a persistent and reliable support. The Fusion Tube Edge Technology provides the additional security in the traffic. These are the most important parameter for numerous rides through the city. With the strong Bosch Performance CX Engine steep slopes are no longer a problem. 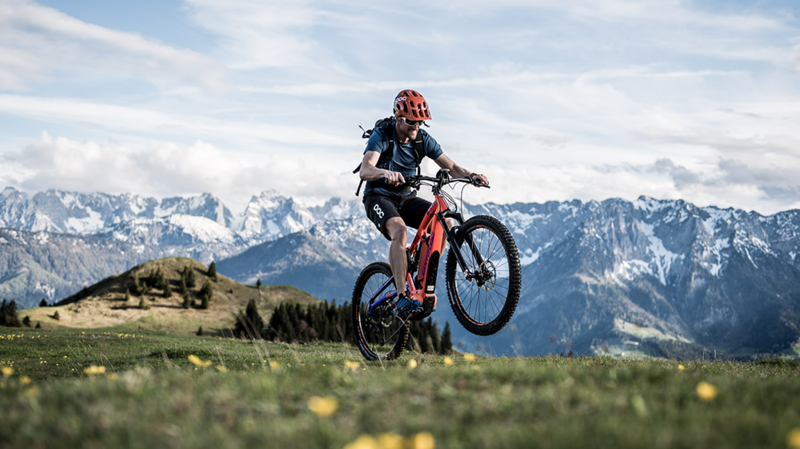 The innovative and well-designed frame and the nice and stylish integrated battery make the bike to a prefect trailbike with lots of flow – even uphill. For a bigger range of application, the bike can be equipped with 29 inch wheels or 650B plus wheels. The legendary Bow- design frame from corratec in connection with a super strong Bosch Performance 45 engine prove the E-Bow as a perfect Offroad-commuter that supports your riding till 45kph. The bike is proven by TÜV and can be used officially in the road traffic. The big things of the E-Power 650B Plus are comfort and grip, both are provided by the huge 3,0 inch tires. The wide tires provide very good traction especially on loose ground. With the sportive frame geometry and the strong and powerful Bosch Performance CX engine the ride has good control and security on every surface. Change the way you ride. The E-Corones supports you when you really need it! Climb up every mountain and break all limits. The 14 kg e-roadbike helps you with 400 Watt to go over every mountain. The E-Corones assist you to go up to 25 km/h but if you go over it does not has any friction when you ride above it's threshold. The all-rounder among the road bikes with only 14.5 kg, the lightweight "E-Allroad" is perfect for commuters or cyclists who like to ride offroad or want to come to work quickly. The battery can be removed and the "E-Allroad" can be ridden like a normal bike. The Revolution SL is XC-Worldcup proven and is made a 100% for speed. 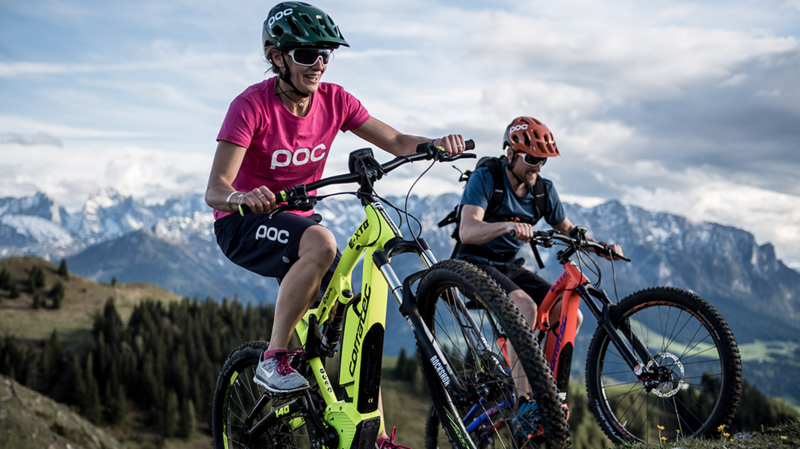 The super light and stiff carbon frame, the racing geometry and the 29 inch boost wheels make the bike to a real rocket on the cross-country tracks in the world. The X-Vert is the perfect bike for every MTB ride. The well-balanced geometry and the 29 inch or 650B wheels provide a good comfort. This bike is the perfect companion for a maximum of fun on and off road. The timeless classic from corratec. Superb stiffness and excellent manoeuvering characteristics provide maximum fun. The Superbow is perfect for every ambitious Mountainbiker. The X-Vert Miss C is specially developed for women. The geometry is customized for the female body and therefor very balanced and comfortable. The 650B wheels provide lots of comfort and also allow an agile handling on every surface. The lightest XC VPP (virtual pivot point) Fully on the market! The new “Revolution iLink” is equipped with 29 inch wheels and a full carbon frame. The weight of the bike, including pedals is under the magical limit of 10 kg. With a 100mm or 120mm Travel and high-quality attachments the MTB is both, an eye catcher and extremely fast. The bike combines agile and playful handling. With this bike you can challenge even difficult trails playfully. The necessary light weight as well as a great stiffness makes it possible to climb uphill very fast. The MTB for every condition. The X Vert provides comfort, sportsmanship ecentrics and perfect climbing qualities with its fitted short chainstay. Secret of Speed – the magic formula of the superfast CCT Evo is the light but brutally stiff carbon frame with superb aerodynamics. These characteristics make the CCT Evo to a very super sports machine. Perfect for long and challenging road bike tours. The Ultegra Disc Brake offers an even higher level of control and safety, therefore riders benefit from the highest Breaking performance. Combined with the comfortable and sporty Carbon frame: A real all-rounder! The Corones commits with its super light and sporty alloy frame. Whether training, sporty ride or on the way to work, the Corones provides feel-at-home racing comfort. The Dolomiti is the entry for whole roadbike world. The light and strong alloy frame paired with the comfortable seating position will make this bike your perfect mate for nice road bike trips. The CCT Cross, perfect off streets and faster than your opponents. The light and stable carbon frame provides maximum fun even through difficult races and terrains. The time hunter is the C-Time. Especially designed with a special sitting postion on the bike, and its light weight aerodynamic shape, guarantees compelling performance and ultra fast racing experience. International racing teams commit their faith and trust on C-Time.